Raisbeck Engineering is the innovative leader in aviation performance and comfort solutions for business and commercial aircraft. 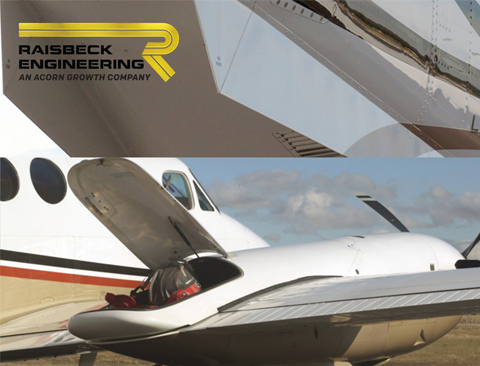 Dedicated to improving performance and efficiency for aircraft owners, Raisbeck Engineering’s aerodynamically designed enhancements deliver better performance results and improve passenger comfort. Founded in 1982 by aeronautical engineer and entrepreneur James D. Raisbeck, Raisbeck Engineering develops, markets and manufactures worldwide-certified performance improvement systems for some of the most prolific commercial and general aviation aircraft models in the market today. It is with enthusiasm that KADEX Aero Supply will now be distributing Raisbeck Engineering spare parts to their customers. “Now that KADEX is stocking Raisbeck Engineering Spare Parts operators and maintenance organizations will have easy access to parts in Country to service their systems and their customer systems. Raisbeck is also a leader in Replacement floorboard for King Air which are FAA-PMA and a much more affordable, trusty solution when replacing old beat up floorboards,” says Jordan Lavery, Director of Business Development at KADEX Aero Supply. For more information on Raisbeck parts, please click here.